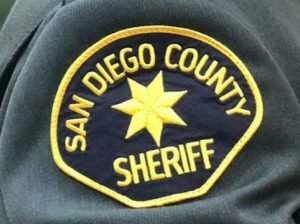 San Marcos, CA –On February 05, 2019, at approximately 8:48 p.m., deputies from the San Diego County Sheriff’s San Marcos Station Traffic Division responded to a hit and run collision involving a vehicle and pedestrian on West Borden Road at the intersection of Comet Circle. Based on the preliminary investigation, it was determined a vehicle was traveling westbound on West Borden Road. The vehicle struck a 19 year old male pedestrian that was crossing the road outside of the marked crosswalks, causing serious injuries to the pedestrian. The pedestrian was transported to a local hospital by Fire Department personnel. The vehicle that struck the pedestrian fled the scene of the collision. The vehicle is described as an older model, dark colored, single cab, Toyota pickup truck with damage to the front passenger side. It is unknown if alcohol and/or drugs were a factor in the collision. The collision is currently under investigation. Anyone with information is requested to contact Deputy Van Nieuwenhuyzen at (760) 510-5259.